I don't know a whole lot about the newest inductee into the APS Hall of Fame, Peony 'Pietertje Vriend Wagenaar', the American Peony Society 2018 Gold Medal Winner. 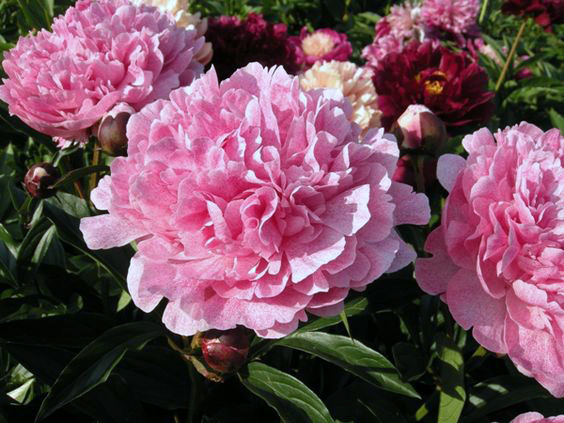 Peony 'Pietertje Vriend Wagenaar' is a bit hard to pronounce, but supposedly a lovely flower. I've heard that the darker pink speckling on the lighter pink petals of Peony 'Pietertje Vriend Wagenaar' is similar to Peony 'The Fawn', but this plant grown side by side is supposed to be better. It was registered by Friend in 1996, and the registration information says it was named for his Mother. This peony plant is supposedly the child of Peony 'Kansas' (a Southern Peony Best Performer) and Peony 'Sarah Berhnardt'. So I have high hopes that this plant will grow and bloom well here in the South, since both of its parents work well in our climate.